„In November 2016 while working on new material, Kostas Kefalianos recorded several ideas on tape between Kos & Athens. 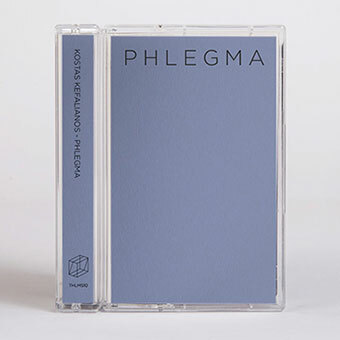 Almost a month later, all this recorded material had been rearranged and mixed by Panos Alexiadis who filtered and captured some of the best moments included in those tapes and eventually ended up in PHLEGMA, the second release from Kefalianos on Thalamos. Kefalianos builds up a world full of negative tension through his tape manipulation and junk electronics. The tracks on this release were influenced by the lack of joy, the necessarily attendance and obligatory absence.